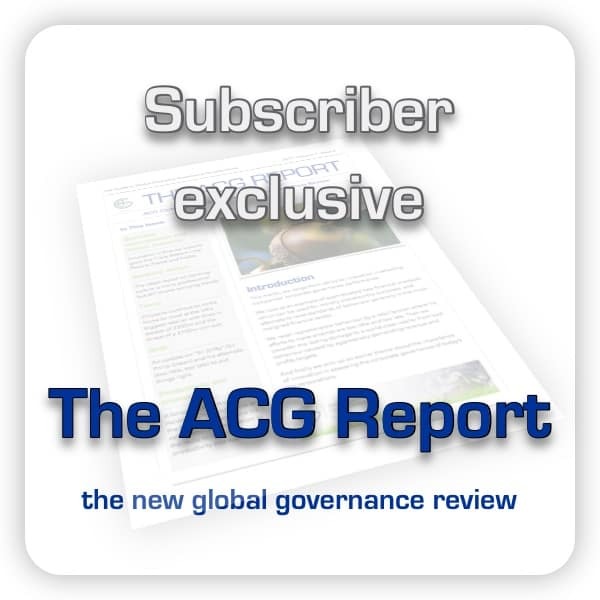 Those of us with an interest in corporate governance will each have our own ideas about how the concept should be advanced, or indeed, how it is likely to develop. 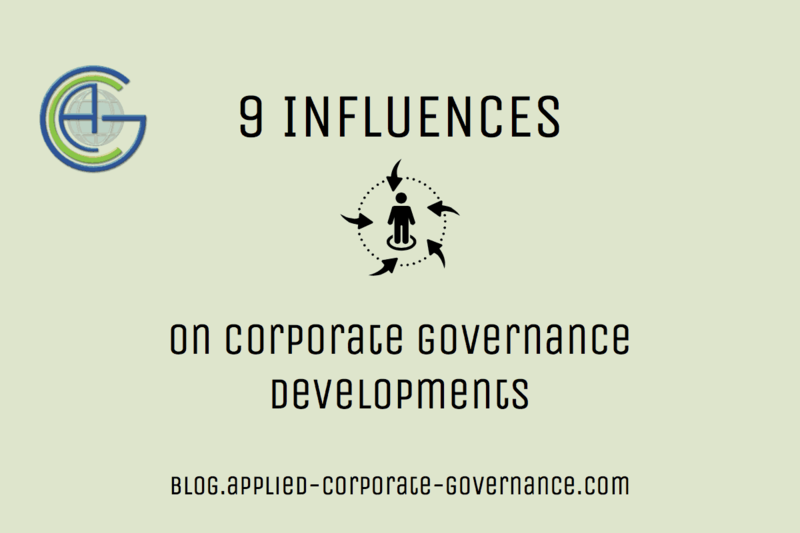 In this first article in the new blog, we look at 9 current influences on corporate governance developments. We at Applied Corporate Governance define corporate governance holistically, putting compliance with codes into a sub-set of what good corporate governance is all about. So it would seem interesting to consider the various drivers currently influencing development in that holistic context.